UPSC prepares the paper for the NDA. It makes separate question paper for NDA 1 Mathematics and General Ability Test. 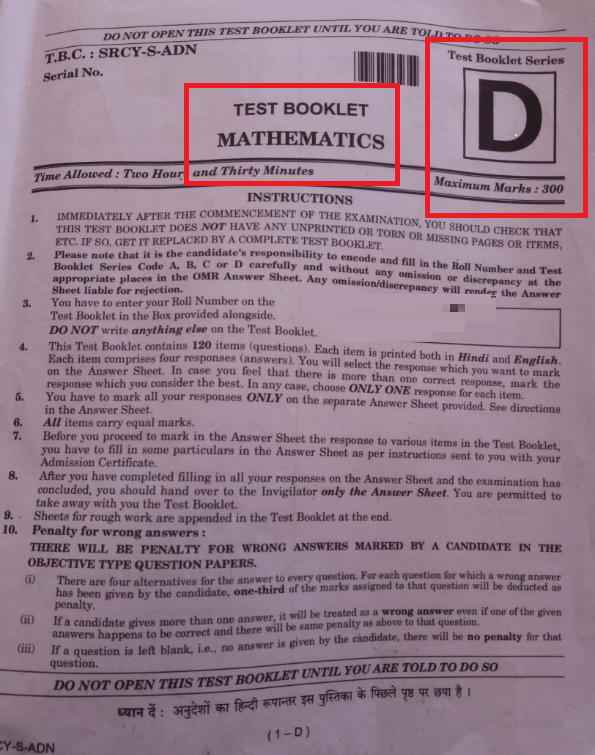 The candidates can get the links to download the question paper of both the papers from the table below. 22 Apr 2018 Mathematics Available after 12:30 p.m.
22 Apr 2018 General Ability Test Available after 4:30 p.m.
You can click on the following image to download NDA 1 2018 GAT Question Paper. Click here to download NDA 2018 Question Paper of GAT. The answer key for NDA 1 2018 will be released on the official website of UPSC. The answer key is used to verify the answer. The answer key is used to calculate the rough marks. The answer key is released after the examination is over. Then check for the NDA 1 2018 answer key. Answer key will open in the pdf file. Download the key as per requirement. Students have to download the answer key from the official website. The NDA 1 paper carries 900 marks. The student has to award 1 marks for the correct answer. Deduct one-third of the mark for a negative answer. In case of any confusion check the exam pattern of the NDA 1 2018. The exam pattern is mentioned below. The paper in all subject will consist of objective type question. There will be two part of the question booklet. Part A belong to Mathematics and Part B belong to General Ability test. The paper will be in Hindi and English. The marks rewarded for Part “A” is 300 marks and Part “B” 600 marks. The exam duration is 5 hours, 2 hours and 30 minutes will be provided for both paper. ⅓ of the marks is deducted for a negative answer. After the exam, it is very common that only a few students keep their question paper safely. But there is no need to worry if you don’t have your question paper to verify then you can download it from the official website. Below are the steps guided to download the key. 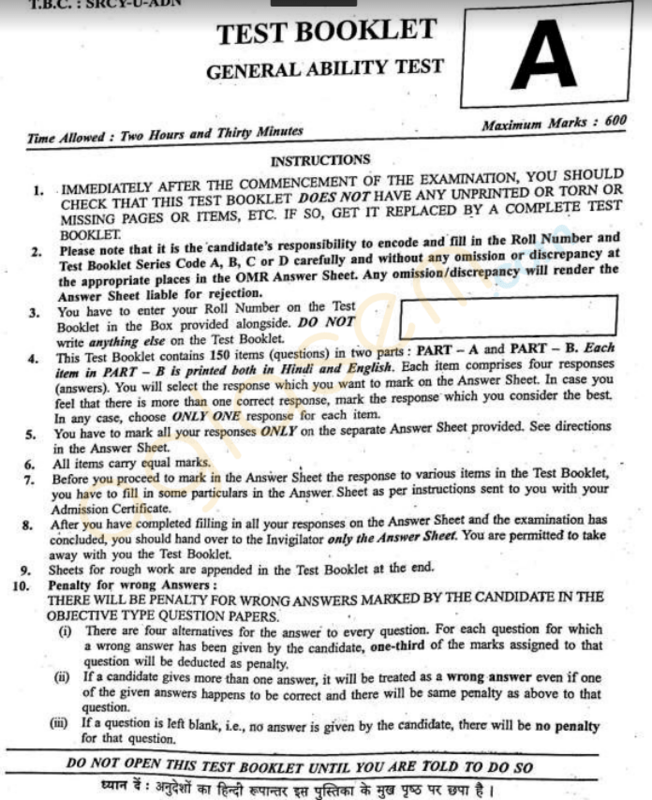 Select the Examination menu and click on the previous year question paper. Previous Question paper page will appear. The paper will open in new tab. Select the Examination menu and click on the Answer key option. Answer key paper will appear. Click on the NDA 1 answer key. National Defence Academy (NDA) entrance exam is conducted for the recruitment of candidate in the Army, Naval, Air force wings of NDA. National Defence Academy entrance exam is conducted twice in a year in the month of April and September. The exam is conducted by Union Public Service Commission.